This App is a visual representation of what happens inside your mouth when you speak American English. 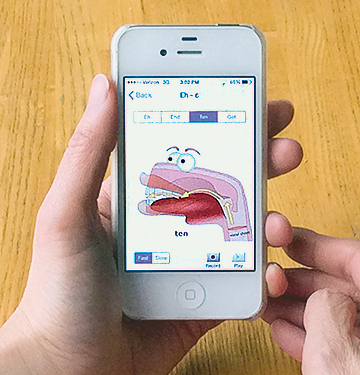 You can learn the specific American sounds by seeing inside the mouth of our animated character, Mimo. She highlights the important parts of the mouth and tongue that are active in making particular sounds. This is a unique approach to learning the American accent because it is easy to imitate Mimo. You have visual as well as audio cues. The App also offers the ability to record your voice and compare it with Mimo’s. There are four explanatory videos for the difficult sounds R, L, TH, and the slide vowels (diphthongs). A practice section features every sound in American English including 2-3 simple words using the sound. It also offers the ability to record your voice and compare it with Mimo’s. Because I can see inside Mimo's mouth in the App, it's like looking in a mirror. I can see how to pronounce difficult sounds. 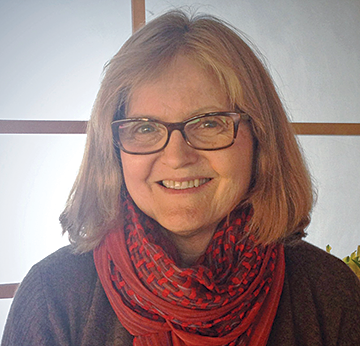 Ann Bartholomew teaches English as a Foreign Language in Boston and the Metrowest suburbs. She developed the App: American Accent on the Go to give students visual and audio cues on pronunciation right from their iPhones and iPads.